Kissing a block of stone built into the battlements of a castle seems like an odd pastime while on your holidays, but many people do it. In fact you will be following in the footsteps, or lip prints, of millions of others including statesmen and literary figures if you carry out the ritual. 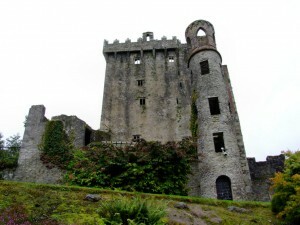 For more than 200 years visitors have pressed their mouths against the Blarney Stone on a visit to Cork, ranking up millions of kisses over the centuries. It is all in the hope that they will be granted the gift of eloquence. The stone was bestowed on Cormac McCarthy, the king of Munster, as a thank you gift from Robert the Bruce for sending 5,000 troops to the Battle of Bannockburn in 1314. From whence the stone came before this no one is entirely sure as there are a number of plausible options. One theory suggests that the stone was used by St Columba of Iona to rest his head while on his deathbed, while others believe that Moses struck the stone with his staff to part the waters of the Red Sea for the Israelites. Alternatively, you may wish to think of it as the Stone of Destiny, which contains mystical powers. It used to be the case that you needed somebody to hold your feet when kissing the stone, but those at Blarney Castle have now inserted rails to hold onto. It might still be a good idea to get a fellow visitor to hang on to your legs just for added peace of mind. Once you have found this willing accomplice head up to the parapet walk and lie down on your back and grab onto the rails. The stone itself is 90 feet away from the ground, so be careful when arching your back and pushing your head forward to reach it. Even though kissing the stone is the major highlight for people visiting Blarney Castle, in truth it does not take very long to carry out the task. It is therefore good that the rest of the location is interesting too. The castle was built on the remains of previous structures in 1446 and many find the underground passages and chambers that make up the dungeons fun to explore. It has extensive gardens as well as a house close by. Here you will be able to see the fine furniture, portraits, tapestries and works of art on show. Blarney Castle is located five miles outside of Cork so it is a really good idea to hire a car with Auto Europe so that you can make the journey. This will allow you great flexibility on your visit and mean that you can enjoy the surrounding countryside. 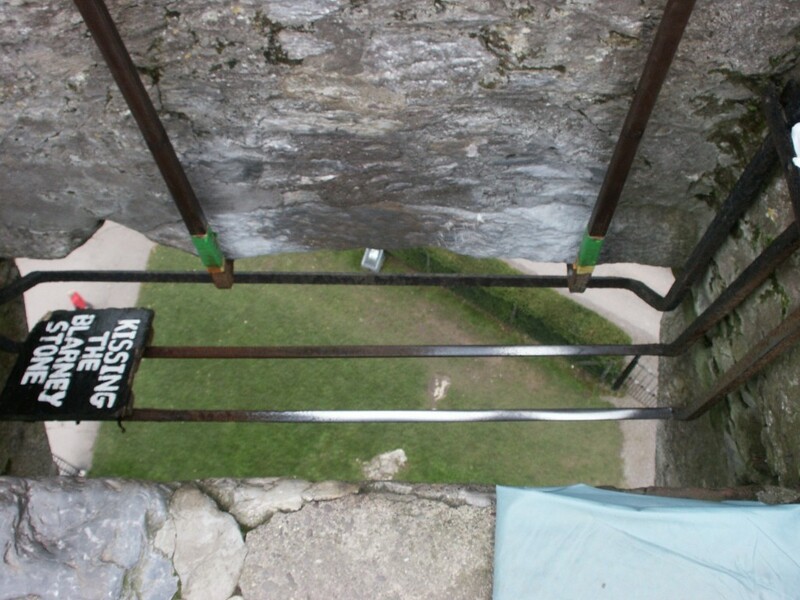 Those afraid of heights or falling may wish to skip kissing the Blarney Stone as even though the safety rails have been put in it feels quite precarious. Watching other visitors’ techniques is a good way of gauging how to do it yourself. The castle is open all year round although the hours change according to the seasons, so make sure you have enough time before making the journey. During the summer months it is open until 6.30pm or 7.00pm, although it closes at 5.30pm on Sundays.